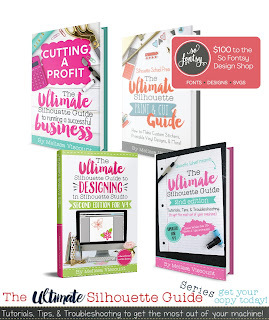 How to Make Silhouette Planner Stickers Repositionable! Well my planner stickers lovin' world just got rocked! Did you guys know it's possible to make your own DIY stickers respositionable and removable with Silhouette?! OMG this is a game changer! I don't know how many times I've made plans and then had to change them...problem is the sticker's already in my daily planner and I can't cleanly remove it or reuse it...until now! Oh yes, you guys I've found the solution and it's as easy as printing and cutting your stickers on Removeable/Repositionable Sticker Paper. See, this is why I love OnlineLabels.com! They think of stuff like this. 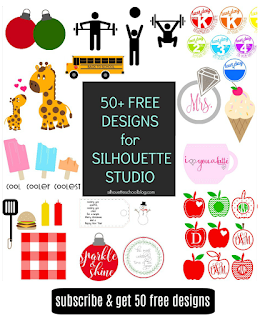 I'm going to show you exactly how easy it is to use these printable labels in a second, but first hopefully by now you know how to make your own stickers with Silhouette. 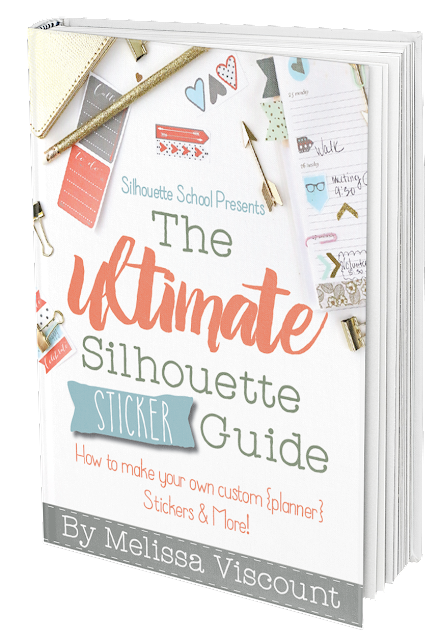 If you don't fear not, I have a whole book about making DIY stickers called The Ultimate Silhouette Sticker Guide! 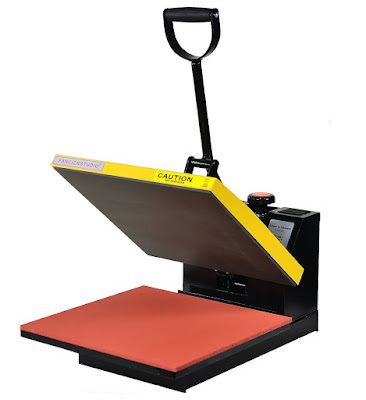 Open up Silhouette Studio and open up your sticker set (or create your own) in a work area. I gave this summer set of free printable stickers away last week for Freebie Friday so go download it and then open it in Studio. Add your registration marks and then prepare to print. Place a sheet of Removable Sticker Paper in your printer (these printable labels work in inkjet and laser printers) with the printable side down. Just a tip - when you get the full label sheets from Online Labels, the printing side is always facing up...there's no marking on the back so just make sure you keep them right side up or you'll end up printing on the backing. 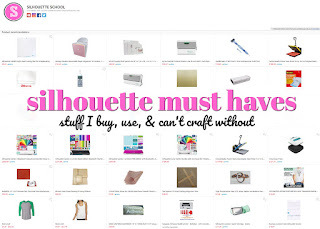 I found the perfect cut settings right on OnlineLabel's blog. They actually tested each of their product to find the perfect Silhouette cut settings for each of their different printable labels! Woohooo...so helpful. Once they're printed, you're ready to place those stickers in your planner and then reposition the stickers again and again! So why do you need re-usable, removeable and repositionable stickers anyway? Let's say you make a whole sheet of stickers and you pretty up your planner and then BAM your kid gets sick and your husband gets stuck at work and just like that you need to reschedule MNO (mom's night out). (Insert sad face here!) 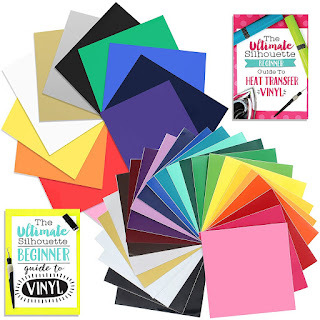 Well, with this removable sticker paper you can actually peel up that planner sticker without leaving anything behind and without tearing it and place it on a new date in your planner or organizer. This also means you can also re-use the same stickers over and over again. For instance, let's say your little guy is going to camp every other week this summer. You could make just 5 or 10 camp stickers for the whole summer and just keep moving them around your planner! Genius...time savings. Money savings. Sticker savings. 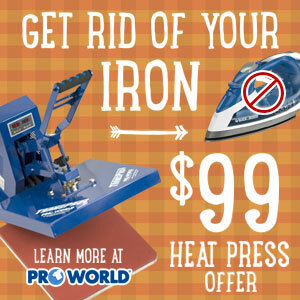 Here's a quick video to show you just how easy it is to move and reposition stickers when printing and cutting on Printable Repositionable White Matte Sticker Paper. I love Online Labels, have bought from them for years. I tried to go to both links, for the newsletter and the $5 coupon and neither of them works. I'll try back another time and hopefully they will be working. Thanks! Thank you again and again. 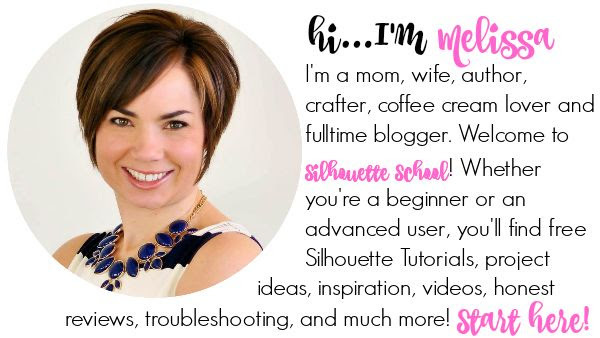 Since I found your site over a year ago, I have learned and still learn some amazing things about my silhouette! So thank you - I would have given up in frustration along time ago with you! hugs Carol W.
I tried to sign up for the sticker newsletter, but I don't think it worked. Is there another link to do so? Can you cut sticker paper with silhouette curio?